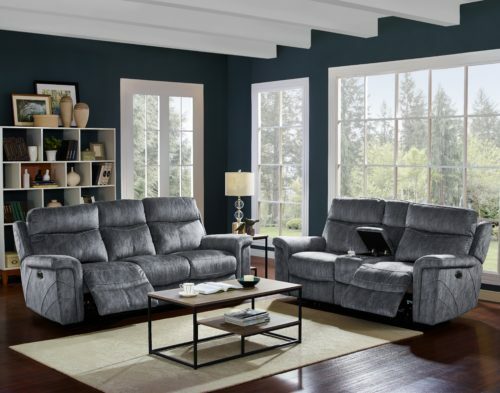 Gannon Shadow motion furniture is made with soft, breathable and easy clean polyester performance fabric. Contrasted cross stitching throughout for appearance, timeless quality, and durability. Power Headrest, Lumber and Footrest adjust to your perfect seating preferences. USB Power chargers on each side power switch to keep your devices fully charged. Available in Power and Manuel recline options.